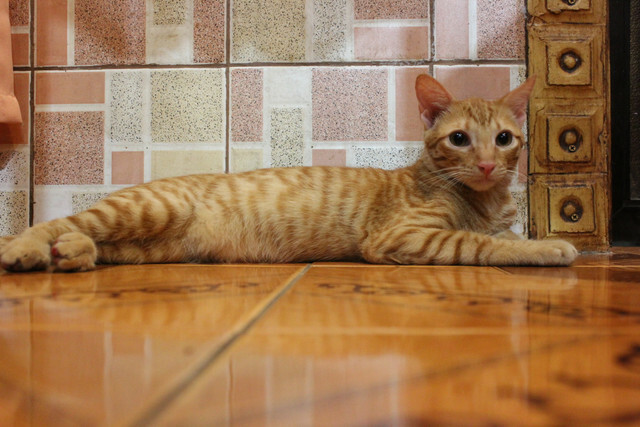 Jinro's Home is creating a new life for lost and homeless cats. Help us create a better place for the lost and homeless cats of Cebu. We've all seen the strays out in the world and wished we could help, now you can! Our goal is to create a space where homeless cats can have a new chance at life. No more searching for food, no more disease, and no more danger from traffic for the furry little guys. Maybe they'll find a forever home with some loving humans. Wouldn't that be nice? Until we raise enough money to open a shelter, we will be using the funds to help others pay for any kittens or cats they decide to take in from off the street. We work with local veterinarians to help provide. This started when we found our first cat, Jinro. He was all alone crossing a busy street. He nearly got run over! We stopped our motorcycle to pick him up and move him out of the road. There was an empty lot nearby that we thought he wandered out of. Our first thought was to put him back. We quickly realized if we did, he probably wouldn't survive so we brought him home with us. 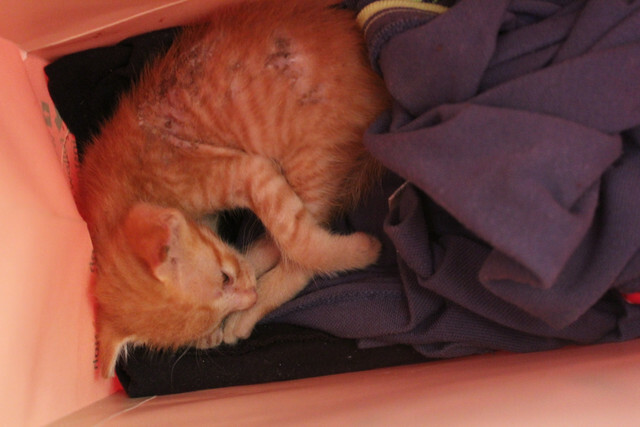 When we found him he was barely a month old and had scabs all over his body. He was not well. The next day we took him to the vet to get him little kitten medicine and a checkup. 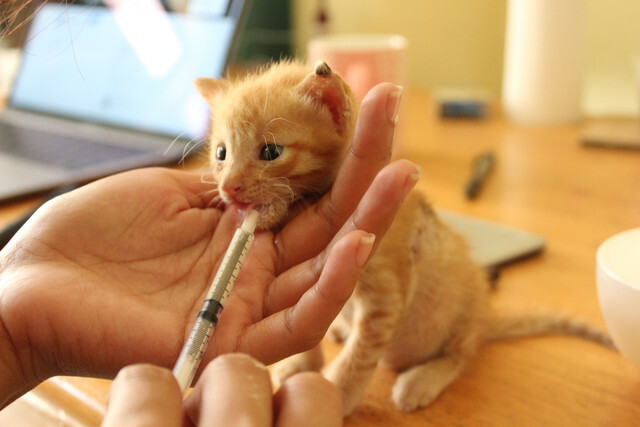 We started feeding him milk with a syringe. He was too small to eat solid food. He also got a daily dose of vitamins and deworming. We fell in love with the little guy. We watched him grow from a little, lost kitten into a strong healthy cat. Get these two little kittens the shots and medical stuff they need to they can be healthy!